The new Rv 80 past Hopen has provided a smoother flow of traffic, and has improved traffic safety, the local environment and quality of living for residents. 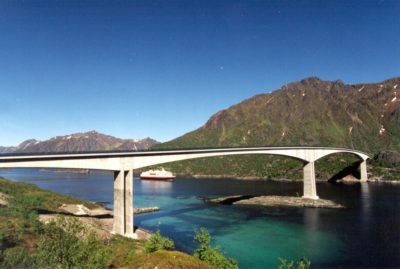 A landslide-prone spot at Hopshamran has been bypassed, and the road between Fauske and Bodø shortened by around two kilometres. 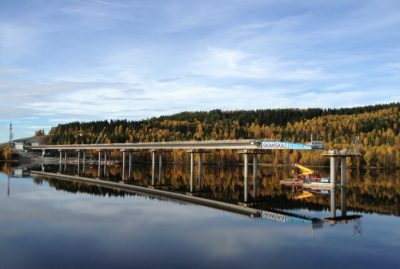 Aas-Jakobsen has acted as the lead consultant for the Norwegian Public Roads Administration for the construction plan and the construction work itself. We have provided the outline project, preliminary project, dynamic analyses for wind and earthquakes, detailed design with tender documentation and supervision during the construction period. Tverlands Bridge is a balanced cantilever bridge for a four-lane road and a walkway/cycleway. 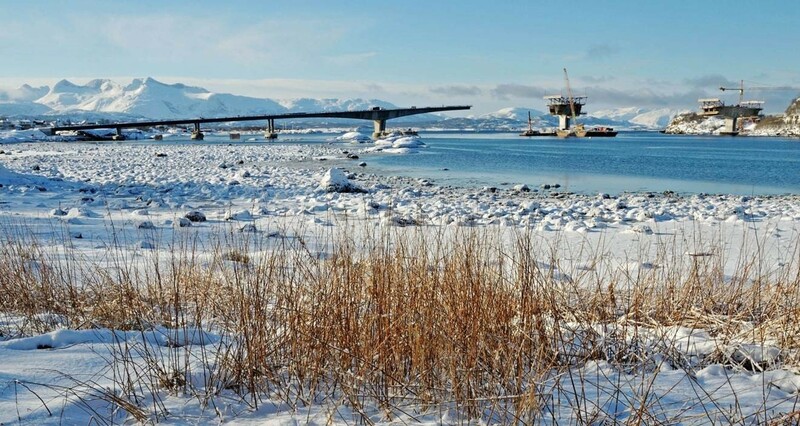 The bridge has two main spans, 180 metres and 165 metres, and a total length of 670 metres. 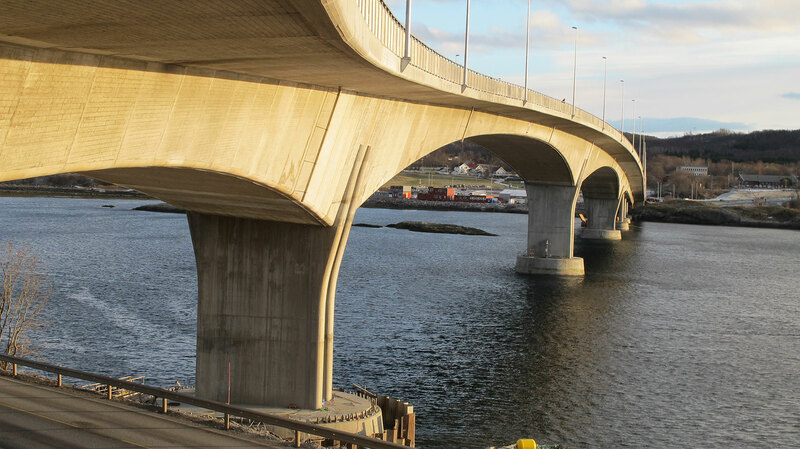 The bridge was built with 3 cantilever axes and a side span of 148 metres divided into 3 spans. 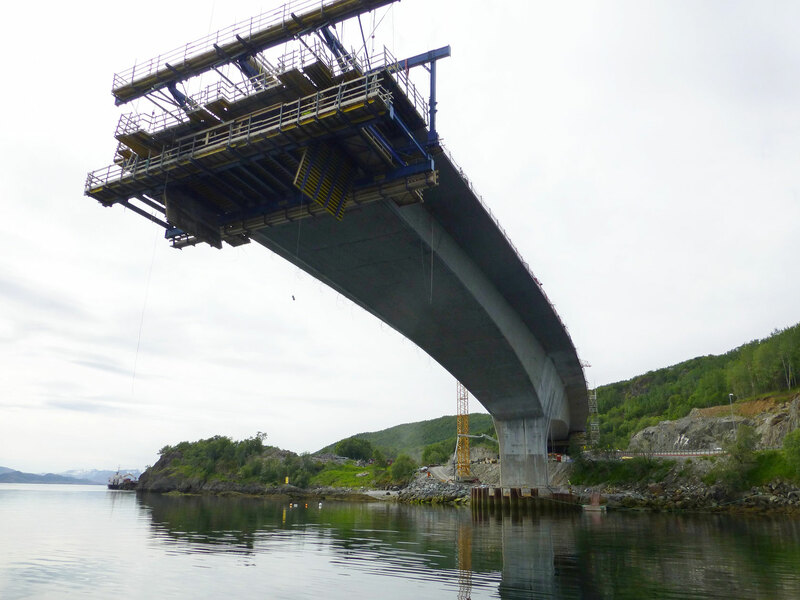 The bridge rests on foundations constructed using four different systems: Cantilever axes: - drilled piles to level -12.0 (A2), - submerged caisson at level -30.0 (A3), - directly on rock/reef in the fjord (A4). Side span: - pile groups with steel pipe piles (A5-7). 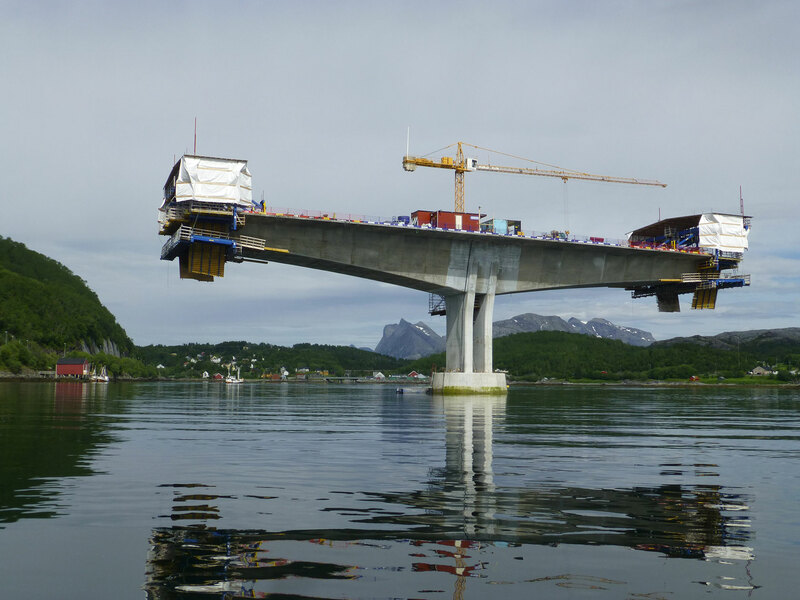 The bridge is the first cantilever bridge in Norway for a four-lane road. The superstructure has been built as a box cross-section with three stays, the outer two of which are oblique. 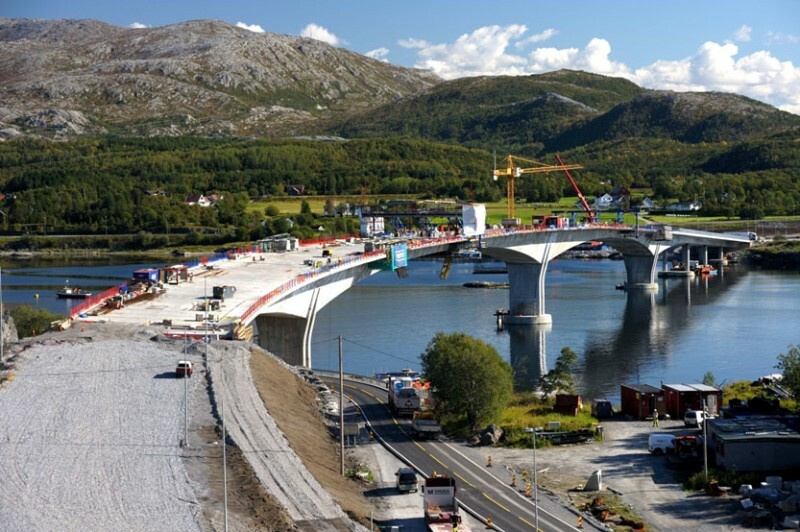 The bridge was opened by Kjetil Solvik-Olsen, Minister of Transport and Communications, on 9 November 2013. 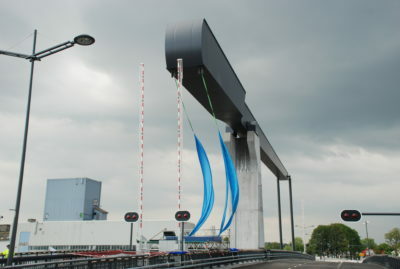 670m bridge length. Building cost ca. 300 MNOK.